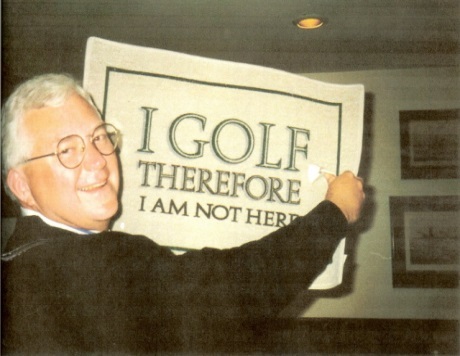 Golfers, gather your foursomes and register early or save the date, but don't miss your chance to play in this year's Brad Friel Memorial Golf Tournament! Held at the beautiful Richmond Country Club, this popular scramble format tournament will sell out again this year! Did you know the Courthouse Center for the Arts in West Kingston puts on free children's theater and music classes and camps? They even have inclusion camps for special needs kids. The Courthouse Chimes Chorus performs at nursing homes and assisted living facilities, as well as at events all around the county; open rehearsal is every Saturday morning. Courthouse Arthur Murray Dance Classes are every Wednesday evening. Drum lessons are available. All this in addition to theatrical performances, concerts with local and national talents and ongoing art gallery shows. Thank you to executive director Mariann Almonte for sharing her passion with us at our meeting Tuesday night. The nonprofit is located in the 19th century former Kingston Courthouse, a large, granite-block building just west of the University of Rhode Island, which the organization purchased from the state for $1and the promise that it will remain a community arts center in perpetuity. The first floor holds rooms for events, classes and art showings, while the second floor performance space has variable seating to allow for traditional theater seating, theater-in-the-round, cafe seating or whatever the event calls for. For more information, visit courthousearts.org. With as many as 2,000 kids in foster care in RI at any given time, Adoption Rhode Island, a non-profit 'adoption exchange', works with DCYF to place kids in permanent homes. Bridget Gieseke, Adoption RI's Fund Development & Donor Relations Coordinator, presented us with an in-depth introduction to how the program works and to its newest innovation, the Teen Focus Team. They are currently providing direct services to about 150 placements and follow-up services to thousands, while the Teen Focus Team works with an additional 45-50 teenagers who will likely never find a family home. Adopting a child through Adoption Rhode Island is free and provides a lifetime of follow-up if needed, as opposed to private adoptions, which can cost tens of thousands of dollars and cut the family loose once the adoption is final. Dentistry from the Heart is a day of free dental care provided by volunteers at Arrowhead Dental, taking place this year on Sat., Sept. 29 starting at 7:30 a.m. Alex Prevey, Arrowhead's marketing coordinator, visited this week to give us the background on the program. Celebrating its 10th year, the free care day has grown from an average of 100-120 patients to a high point last year of 250 patients. The Arrowhead staff are joined by an increasing number of volunteers from other dental programs from around the state. Individuals and entire families who could not afford a dentist on their own come for care to the event. Treatments can include anything from basic cleaning, x-rays and exam to some basic surgery and extractions. Follow-up visits are provided when necessary. 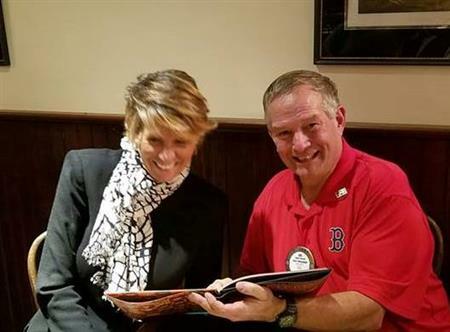 Chariho Rotary is supporting Dentistry from the Heart with a $200 donation. For more info, go to https://www.arrowhead-dental.com/ . We received a donation from Paddy's Beach Club. Apparently someone braved the fly invasion the night of the fundraiser and actually had dinner there. Thank you will be sent. Jeff has tickets for the Spaghetti Dinner and distributed ten to each member present. If you didn't get yours, see him asap. In many ways this is one of our easier fundraisers, but the key is in getting the word. Advance ticket sales is the best way to do that. 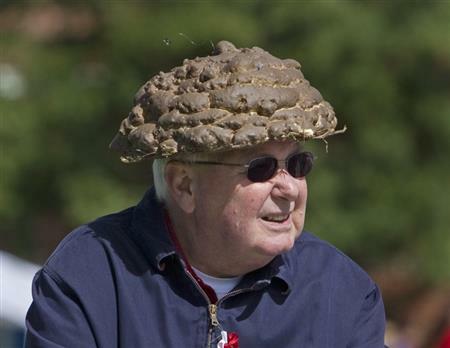 Rick approached the organizers of Charlestown's Rythm-n-Roots Festival about the possibility of selling shortcake at the festival. It looks like food vendors are n short supply at the fest and our shortcakes would likely be a tremendous hit, should we decide to take it on. It would mean committing to a 3-day Labor Day weekend event, open from 1 - 10 pm, similar to what we did at Charlestown Seafood Fest a couple of years ago. More research is commencing. Big thanks out to Ed for taking on the speaker scheduling - he has already booked pretty much through October. He and Gil both stressed again how important it is that member show up on nights when we have guests! JOIN US at Paddy's Beach Club for Give Back Night!! 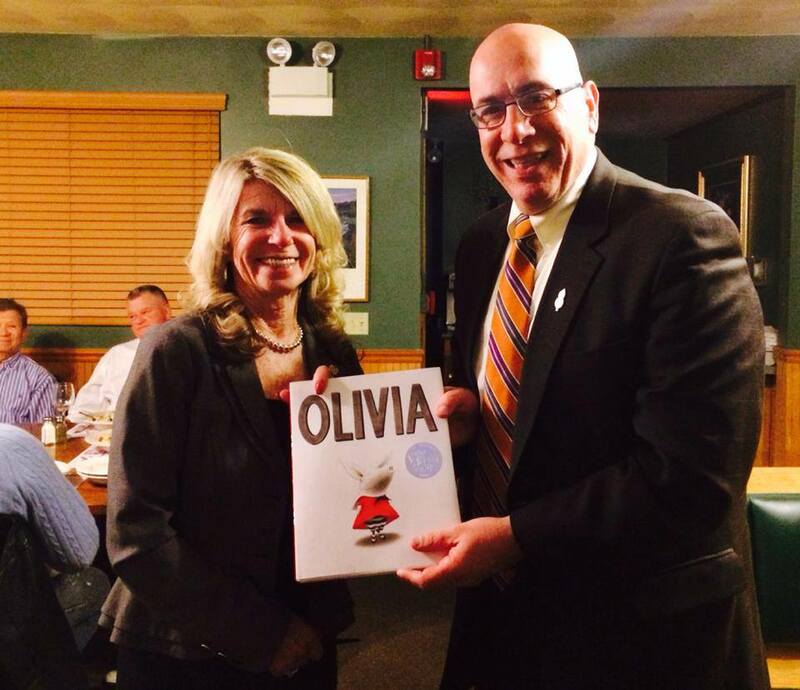 Paddy's Beach Club is hosting give back nights this summer and Chariho Rotary has been chosen!! Chariho Rotary sends Chariho Fourth Graders trees to plant and care for. Held at the beautiful Richmond Country Club, this popular scramble format tournament sold out again last year, and we expect that will this year, too. Check-in begins at 11:30 a.m. on Friday, June 15, and a light lunch will be served before the 1 p.m. shotgun start. Your entry fee of $135 per golfer includes greens fees and cart, lunch, Chariho Rotary's famous raw bar and a fabulous prime rib dinner. Cash prizes and a raffle will be awarded during the dinner. All proceeds benefit local community charities and services, as well as Rotary projects in the community. Join Chariho Rotary, "The Funnest Club in Rotary", for a day of sun, fun and raising money for a worthy cause! Click here for more information and registration forms, or contact event chairman Ed Smith at edsmith@charihofurniture.com. We had a good turnout for our field trip to Clark Library to see the new 3-D Printer that was funded by a Chariho Rotary Grant. The printer, which will be shared with other local libraries when requested, is located in the Maker Space and available to all patrons. There are booklets available that explain the printing software and classes that are offered throughout the year on how to use the printer. There is no charge for the sessions and all are invited. 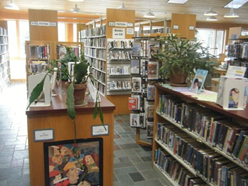 Reservations are strongly suggested and can be made by calling the library at 364-6100. Big Thank You to Jeannine Harrington who arranged for this visit. We are so pleased to have Dana Hall from Chariho High School as our guest speaker tonight. There are so many wonderful and innovative things happening in our school system! Cow Chip Bingo at Swamp Yankee Days! CHARIHO ROTARY WILL BE SELLING OUR FAMOUS 🍓 STRAWBERRY SHORTCAKE 🍓 SAT&SUN! VISIT US AT SWAMP YANKEE DAYS AT THE FAIRGROUNDS, SAT & SUN OPEN 9 TIL DUSK. Everyone WINS knowing you supported Chariho Rotary Club and your community, including scholarships for our graduating seniors!! The Event is at Swamp Yankee Days 2017 Oct 8th, at the Washington County Fairgrounds. Thank you to our Sponsors! Please stop by and give them your support! 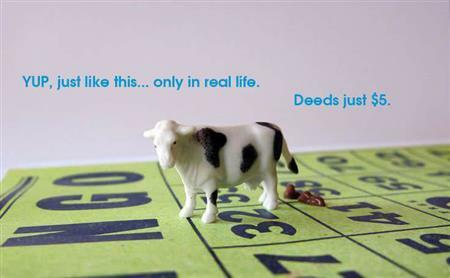 Contact any Chariho Rotary member or Jeannine at 401-932-7844 to buy deeds!! Hurry before they run out!! Check-in begins at 11:30 a.m. on Friday, June 9, and a light lunch will be served before the 1 p.m. shotgun start. Join Chariho Rotary, "The Funnest Club in Rotary", in a day of sun, fun and raising money for a worthy cause! 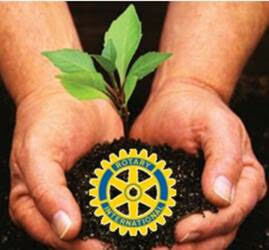 Celebrate the 100th anniversary of Rotary Foundation. The evening’s Keynote speaker will be David Forward, District Governor of District 7500 for the Rotary Year 2016-2017. David has finished writing his 12th book, Doing Good in the World: The Inspiring Story of The Rotary Foundation's First 100 Years. 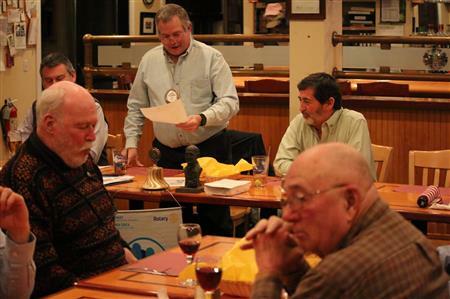 David joined Rotary in 1978 after moving to the United States from his native England. In 1991, David founded International Children’s Aid Foundation and serves as its president. We are sure to have an enlightening evening on November 17. I encourage each club to support the event with a full table or two. 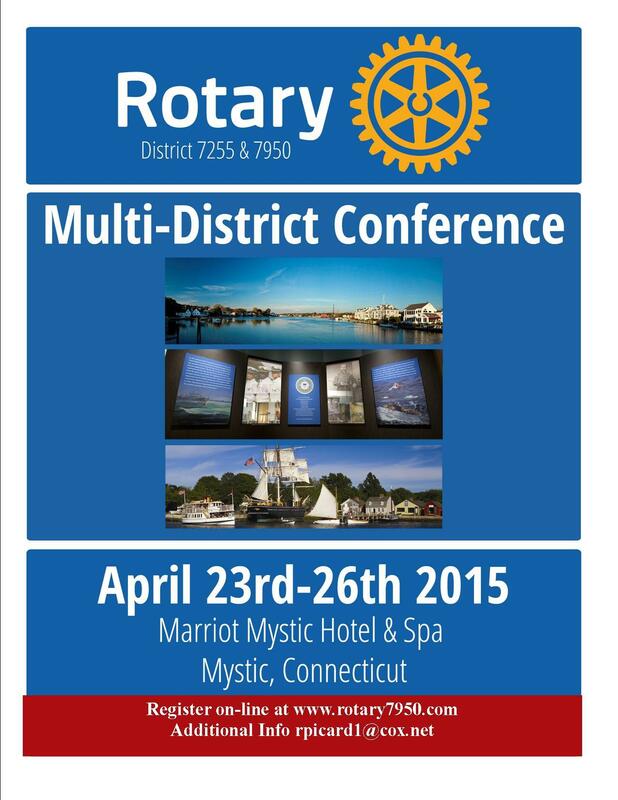 Please visit the web site (www.Rotary7950.org) for registration and more information. Thank you for your support. Ten members of Chariho Rotary will be heading up to this dinner; if you would like to be included, contact Ed Smith or Kim Kelly ASAP. Congratulations to all our newest officers! Special Thanksgiving Wishes to all of you and your families. With the closure of RCC at the end of December, we will be making the rounds. 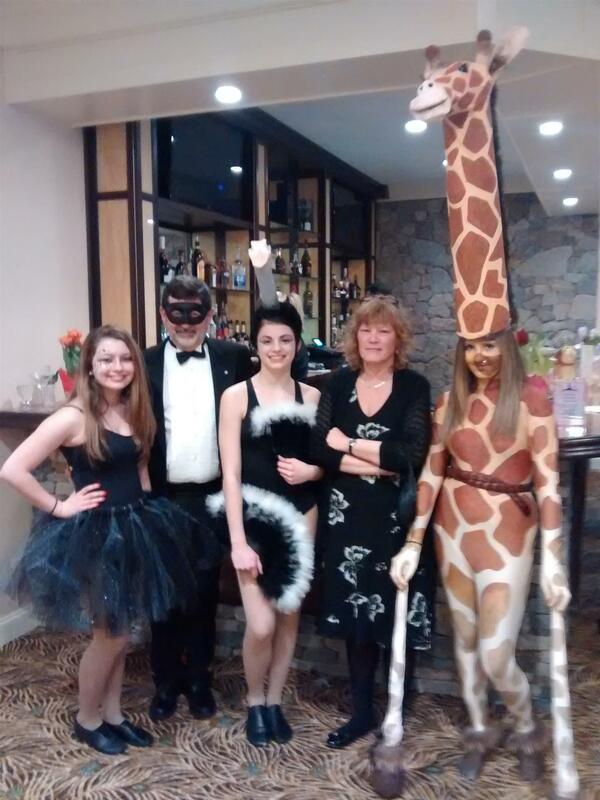 Black and White Masquerade a success! With a sold-out house, plenty of generous auction donations, and generous guests on hand to bid on them, the only problems at the Black and White were those of abundance. Feeding 240 people, it turns out, requires more than one buffet line! Who'd a thunk it? But everyone seemed to be having a great time, whether they were sitting at the front of the house, where the food and entertainment was, or the back, where much shushing was happening whenever a good auction item came up for bids. The venue and decorations were outstanding, the penguins and birds of prey were huge hits, and the live model animals roaming the floor and pausing for photo ops were amazing. And while some accounting was still taking place at last report, it looks like the three organizations, Chariho Rotary, Chariho Community 2000 and Westerly College Club, will be splitting about $21,000 for their scholarship accounts. Not too bad for our first attempt at such a large and complex event! Thank you to Liz Pasquilini and Kim Kelley for their leadership on this one! Black & White gala coming up quick! 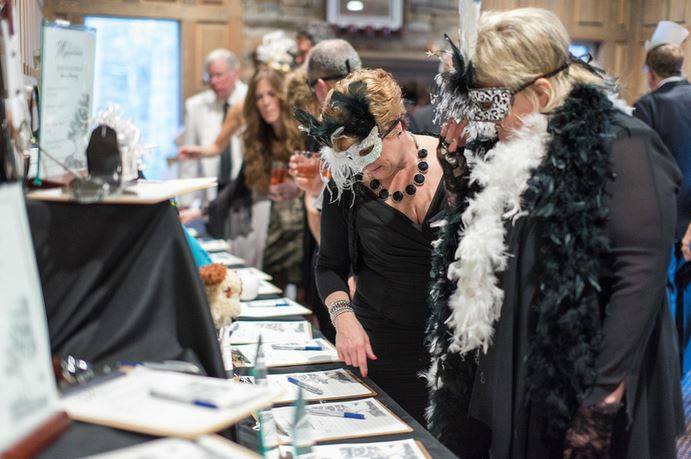 Journey with us for a fabulous evening of decadence and adventure benefiting the scholarship funds of The Rotary Club of Chariho, Community 2000 Education Foundation, and the Westerly College Club. 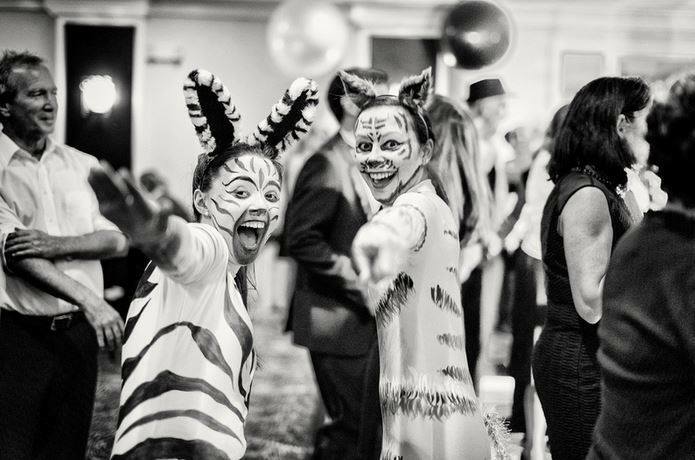 Enjoy a chef prepared dinner at the newly renovated Preserve at Boulder Hills, live music from the Atlantic Ave Band, both a live and silent auction, and a few EXOTIC surprises. Tickets are $75/person. 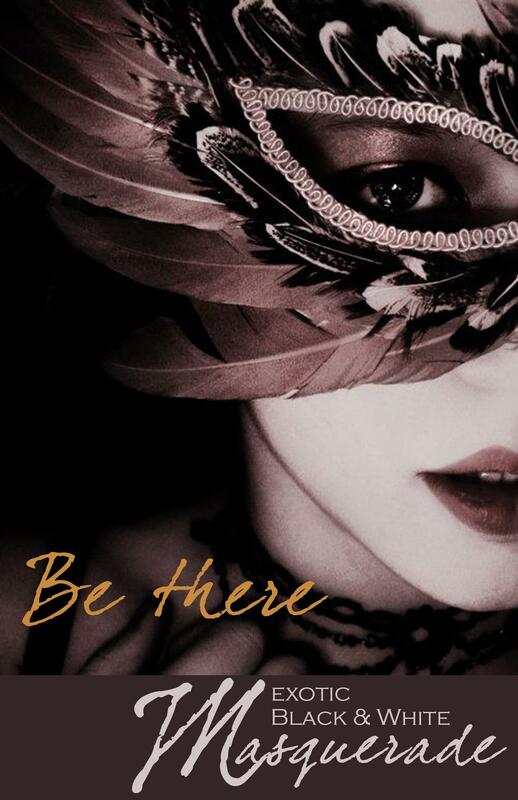 Black and White cocktail attire is encouraged - and don't forget your mask! For tickets, please click on the image at right. To see the Facebook event page, click here. The joint District 7950 and 7255 (Long Island) Conference will be held April 23 - 26 at the Marriot Mystic Hotel, just down the road from us. The shared conference promises to allow Rotarians in both Districts to network and make new friends. Tickets for the full weekend will cost $800 for a single or $1200 for a couple, and include three nights lodging, all sessions, access to the Hospitality Room, dinner on Thursday and Governor's Banquet on Saturday, plus breakfast on Friday, Saturday and Sunday. A one-day ticket is available for Saturday for $125 that includes sessions plus breakfast and the Governor's Banquet. A link to the registration form is available in the Events section of the District 7950 website home page. For more information, email rpicard1@cox.net. 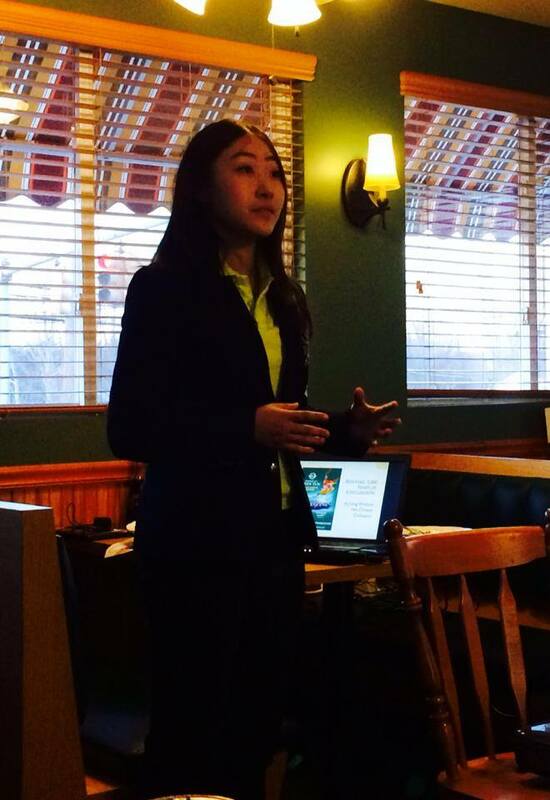 At the March 17 meeting, Jenny Wang of the Falun Dafa Association shared with us the background of the Shen Yun Performing Arts that her organization brings to Rhode Island each year. Shen Yun, a celebration through dance, music, costume and story of ancient, nearly lost Chinese cultures, was founded by Falun Dafa (also known as Falun Gong) to counter attempts by the ruling Communist Party in China to destroy or discredit any religious or spiritual aspects of the country's culture. When Falun Gong, a Buddhist discipline that includes aspects of Taoism, became so widely practiced in China that practioners requested recognition from the government in 1999, the practice was instead declared heretical and tens of thousands of practioners were imprisoned. To this day, Falun Gong can only be practiced outside China, and if any known practioners return to their homeland, they are immediately imprisoned and threratened with execution if they do not recant their beliefs. Shen yun was created as a way to preserve aspects of the ancient, spiritual cultures of China, and incorporates graceful choreography, colorful, flowing costumes, and beautiful, uplifting music to maintain a spritual connection with the past. Shen Yun Performing Arts will be appearing at PPAC in Providence April 17-18. 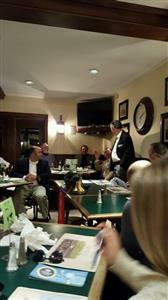 Dennis DeJesus of Special Olympics Rhode Island spoke at our March 10 meeting. He described how Special Olympics was founded by Eunice Kennedy Shriver in the early 60s when Shriver served on President Kennedy's Panel on Mental Retardation. Her interest in helping those with intellectual disabilities was a result of her and Pres. Kennedy's older sister, Rosemary, who suffered from what was then known as mental retardation, a term no longer used today. Built on the concept of promoting physical activity and competition opportunities for people with intellectual disabilities, Special Olympics currently includes about 4 million athletes in 150 countries worldwide, including some 4,000 in RI, and now includes a number of health-related initiatives, such as Healthy Athletes, which provides free physical screenings, and fundraising and awareness initiatives, most notably the Law Enforcement Torch Run. The RI Summer Games are held at the URI Athletic Fields in late May and last year attracted about 1,500 athletes to compete. 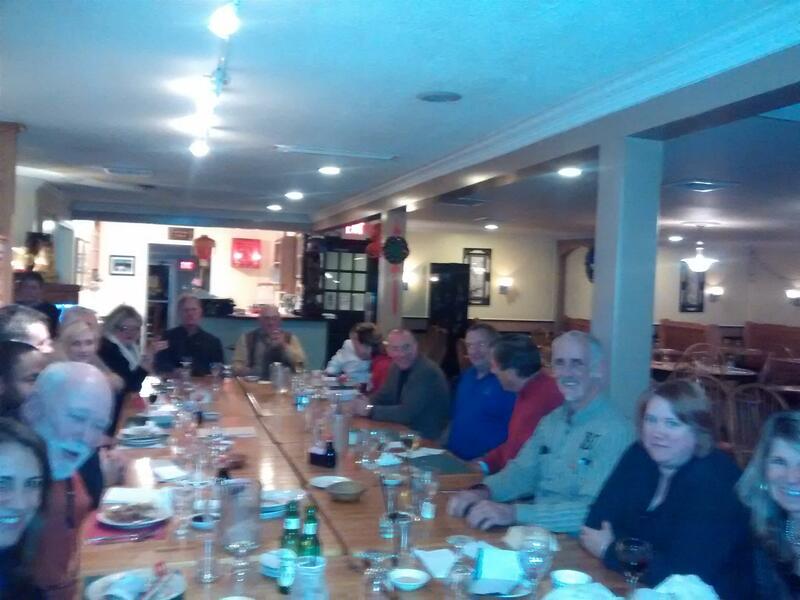 The first meeting of 2015 was hosted by "Cousin" Danny at Lucky House, with a good, strong turnout. A $3,000 donation to the YMCA Reach Out to Youth campaign. This has been an annual donation to what the club has always regarded as a very worthy cause, providing Y scholarships to kids who would not be able to join otherwise. A request to fund a Shelter Box was denied. It was felt that there is no immediate crisis, and our International Chair is working on a proposal for the near future. Rick will be working with Jorge on this. Southern RI Volunteers 5K sponsorship was approved at last year;s level of $150. Charlestown Seafood Festival has let us know that they have a booth available if we want to use it. They have one vender serving strawberry shortcake but would allow another. The festival, which is held the week before Washington County Fair, opens on Thursday evening and closes at the end of the day on Sunday. We will be kicking this around for a while. A contract has been signed with the Preserve at Boulder Hills for our spring fundraiser. We have guaranteed them $5,000 income, so we will all need to put our best effort in to selling tickets. We are sharing the fundraiser this year with the Chariho Community 2000 Education Foundation, which should help a lot. Next week and till the end of February we will be meeting at Wood River Inn. Make sure Kim knows your meal choice, and if you are going to miss, call her on Monday to let her know. Beginning Jan. 6, 2015, the club will be meeting at its new "winter home" for two months while Richmond Country Club closes up for the season. 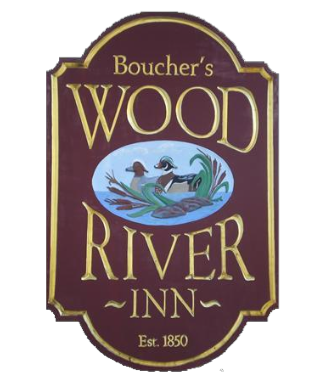 The choice of the Wood River Inn as a more-or-less permanent meeting place for the winter is a change from previous years, where we have changed our location, sometimes weekly, to various restaurants in the area. The combination of the private room the Inn offers for our meeting and the opportunity to avoid the confusion resulting from becoming nomads in winter made the move seem like a good choice. It had been the popular opinion in the past that we should show support to as many local restaurants as possible while 'on the road', but that has made keeping costs under control and engaging speakers for meetings both difficult. Also, because the Country Club is also closed in March, we will have opportunities then to move to other venues if we choose.